Wagerr.com is proud to pre-announce its ICO for the distributed token betting network: Wagerr (WGR). 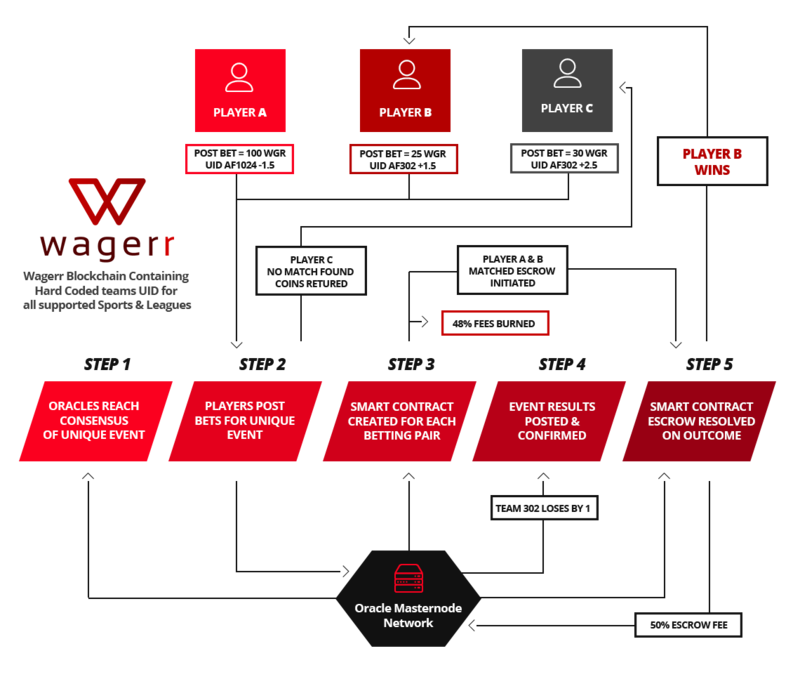 Wagerr is an Application Specific Smart Contract Blockchain Network — meaning, the entire system is designed around a single function: betting. This singular focus makes it scalable, secure, and trustless in a way that few cryptocurrency blockchain networks can compare. Combining real world data and smart contracts to execute bets directly on the blockchain, its first and primary use enables sports bettors to play without reliance on centralized sportsbooks. Players avoid the high fees, corruption, legal repercussions, and violence prevalent in today’s industry. Using Wagerr is accessible, fair and safe. Oracle Masternodes exclusively form betting contracts, backed by their collateral. Game results are verified via supermajority consensus and transparently recorded on-chain. Phased transactions ensure deferred execution occurs (i.e., winners are paid) based on these conditional events. Investors may find Wagerr an interesting opportunity to “Be the House” through operating Oracle Masternodes, or simply holding the token. Oracles offer attractive percentage based earnings on contracts, enabling anyone to own and operate a piece of the “house” without any red tape. Holders of Wagerr, too, are rewarded with every matched bet. That’s because nearly 50% of contract fees are destroyed, tying Wagerr’s value to its usage through controlled scarcity. In effect, when more bets are made, or the price decreases, more Wagerr is destroyed. This leads to a strong, deflationary economy over time. A media and asset pack is coming next week followed by the full wagerr.com site launch on May 20, featuring ICO accounts and a value calculator demonstrating how the fee structure works. In the meantime, register so you’re informed and ready. This is one you don't want to miss! Remember, early supporter bounties begin May 25, and Round 1 investors can receive up to a 9% bonus. Register now, then head over to the bitcointalk.org announcement thread for details. Or chat directly with the team on Wagerr Slack. We're happy to answer any questions, and you never know when we may hand out free WGR! And for a quick overview be sure to download the announcement poster and watch the videos, What is Wagerr?, and Value Coupling. The future of betting is accessible, fair, and safe. 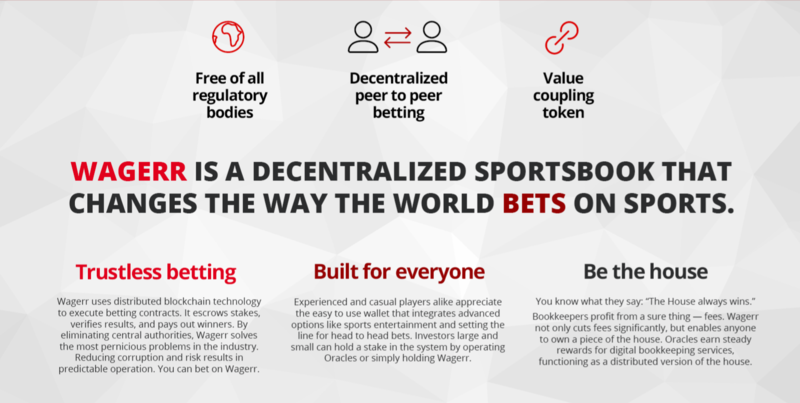 Betting belongs on the blockchain, and that blockchain is Wagerr.